As promised I put all the name in a hat that left comment on my blog about this post. And the winner is Lisa G. Please Lisa send me your address and I will get this set right out to you. Along with box measurements. I will be sent out box measurements by the end of the week. Please check back on Friday. I don't know how some of you bloggers post everyday. My goal is 3 times a week and I can barely keep up. One final note. I am getting a bloglift. My new blog banner is so pretty. I can't wait until it is all ready. So keep checking back. Thanks so much. Lisa don't for get to email me with your address. 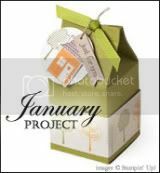 Well here is one more Stationary Set. I love this set. So I decided to have a contest. I will have a drawing for this set. 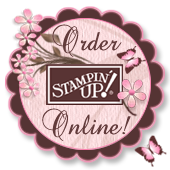 Just leave a comment and tell me your favorite Stampin Up Color combination. I will pick a winner on April 27th. This is my grandson 2nd Birthday. 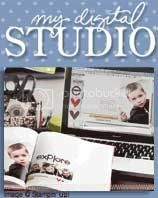 Did you hear next month in May is National Scrapbook month? 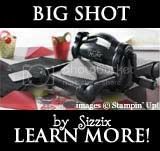 Stampin' Ups special is starting May 1st. Buy 3 pack of Designer Series Paper and get one free. I'll post more on this special soon. Rockabilly Specialty Note card Set. Raspberry Tart # 11397 Card Stock : Rose Red, Cameo Coral, Kiwi Kiss also used same colors of ink. Punches used: 1 1/4, 1 3/8 Circle punch, eyelet border punch, and scallop edge. Well I had a sad week last week. My Grandfather passed away. He was only 96 years young. My father is one of 6. I made a lot of Sympathy cards. They were so hard for me to make because I was making them for people who are so dear to me. So here is one. Here is one more card I made for my Aunt. I hope I don't have to make any more for quite a while. But any way here is the recipe for this card for my dear Grandfather. A quick share for you. I made this last week for my first attempt at a Mo-Jo Monday. I didn't get it posted on time. But thought I would share anyways. I wanted to use this stamp set "Just Jawing" # 111660 by Stampin Up. I have not used it since Halloween. I thought it would make a great card for a teen. What do you think?